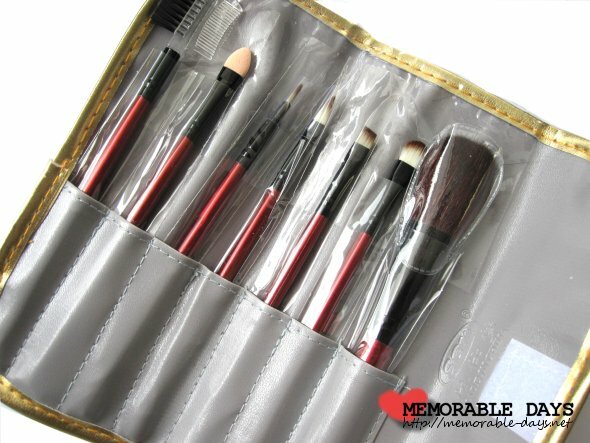 Bornprettystore: 7pc Make Up Brush Set Review | Memorable Days : Beauty Blog - Korean Beauty, European, American Product Reviews. Gomen, my lovely readers! I'm behind schedule and I haven't reviewed all of the products that I received from Bornprettystore.com yet. Remember my Bornprettystore haul blogpost? Today I'm going to review the makeup brush set that I received from them. Most of the people know that they are selling nail products, but did you know that they also sell make up brushes? 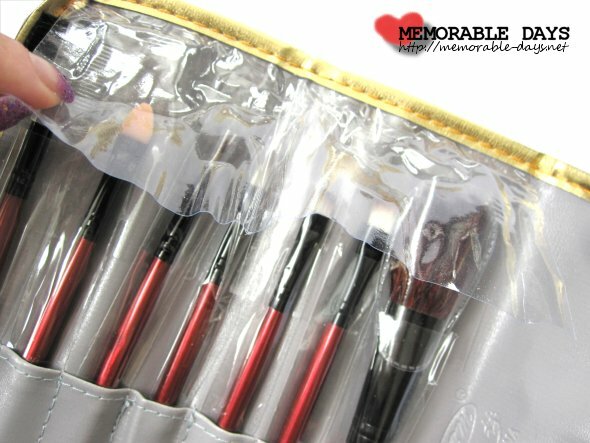 This makeup brush set has 7 pieces and comes in a lovely golden butterfly case which you can easily put in your bag. It only costs $4.74 and it can be purchased at bornprettystore.com. Very inexpensive for 7 items including a case!!! Besides, you always have free shipping no matter how much and what you buy. You can have 10% off when you use the code TENOFFK31! They ship from China so it takes a while until it arrives. It took around 2-3 weeks till the package arrived at my place. This is how the golden butterfly case looks like. If you don't like it in gold they also have the same case in silver. The case is light and small, so it will easily fit in your bag. All items comes with a plastic cover and the powder/blush brush also has a protector. The brush roll has a plastic cover attached as you can see in the picture below, which will prevent make up stains in your bag. All brushes are ok soft (not SUPER soft haha but it's ok), easy to use and easy to wash. The only brush that I don't like is the powder/blush brush. The hair of the brush will come off easily when you use it on the face and while you wash it. 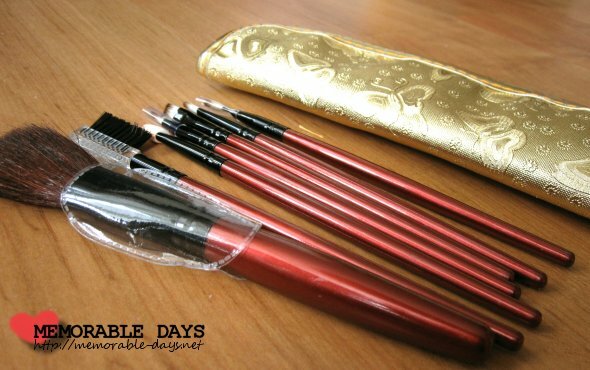 I love the packaging: the size is great, it has a pretty case and the red brushes are beautiful as well ^-^. It's a very inexpensive brush set and the quality is ok for its price. The only brush that I don't like is the powder brush, because the hair will come off easily. However, all brushes are easy to use and easy to wash.
Would you like to purchase it? Click here. Don't forget, you will have 10% off when you use the code TENOFFK31.